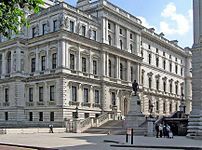 Mediating Conflict: FCO looking for blogs "mastermind"
The Foreign and Commonwealth Office - that's the FCO for the acronymically-challenged - are looking for a "Digital Producer (Engagement) to mastermind the evolution of online activities such as blogs into powerful policy vehicles". I'd like to say I have experience of masterminding blogs (or indeed masterminding anything) but I tend to just write them. Masterminding would involve planning, and the time to plan, and rubbing my hands in expectation of taking over the blogosphere with my " [all]-powerful policy vehicles". £27,000 plus £3,000 London Location Allowance p.a. WTF? My most junior developer gets more than this as an annual wage. This is no 'mastermind' of blogging. More like an out-of-work amateur. Obviously, I'm not here to defend the FCO's pay rates but if you look at the skills required it seems that the role doesn't entail the sort of programming skills that I imagine your junior developer has? Programming demands a higher wage than the production skills listed on this advert. Clearly there won't be any applicants from your workforce! I'm not really comparing the programmer's skills when compared with the FCO role; rather, I'm noting that even the most junior skilled worker demands a higher salary. I would argue that a role which is supposed to prepare and implement a social media strategy for the FCO should not only demand a greater salary rate, but should also require more sophisticated business and technology skills.